The internet has totally revolutionized the practice of public relations. This revolution has not only affected the way PR professionals communicate but has changed the nature of communication itself. 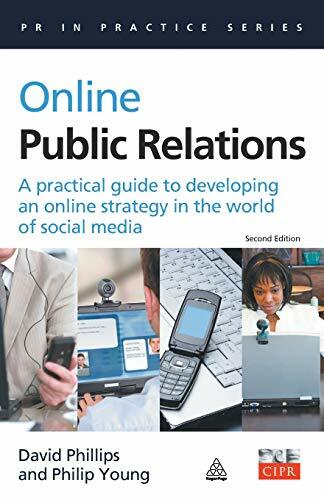 This thoroughly revised second edition of Online Public Relations shows readers how to use this potent and energizing medium intelligently and effectively. David Phillips explores the growth of social media sites such as Facebook, MySpace, Bebo, Flickr etc, and of virtual environments, virtual communities, information sharing sites and blogs. PR practitioners must explore how these new technologies and new ways of thinking can help them get their messages across. They must learn to navigate a world of information which social media has made far more complex. Other topics covered include new models of information exchange, commercial implications of the internet, how social media impacts on PR strategy, developing online PR strategies, risks and opportunities and CSR. David Phillips is head of digital consulting at Publicasity. He has written three books about online PR and teaches at Gloucester University (UK) and Escola Superior de Comunicação Social (Portugal). Philip Young is a senior lecturer in public relations at the University of Sunderland, specializing in social media and media ethics. He is a lead researcher on the European Public Relations Education and Research Association's EuroBlog project.